So. Back to Candy Corning. 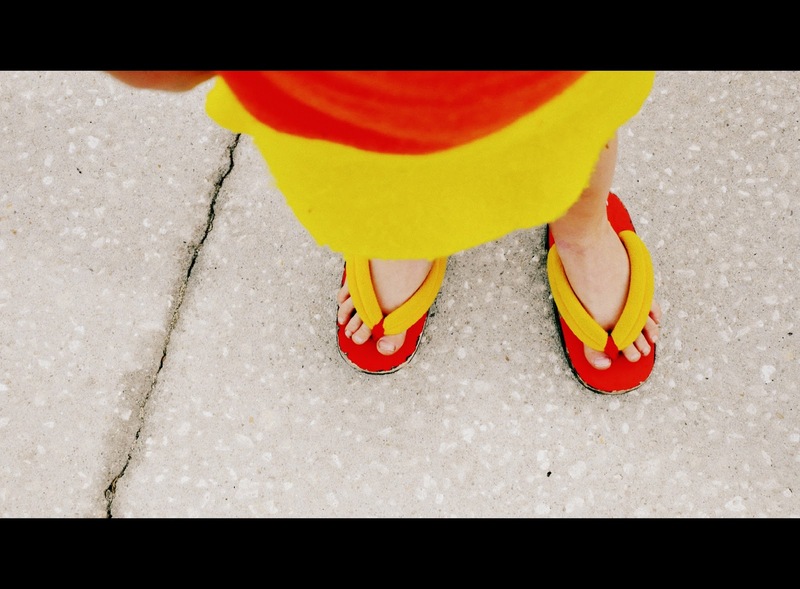 Do you need an easy costume to whip up? All this is, is an A-line jumper cut unto three sections out of felt, finished with bias around the neck and arms, buttons as closures. 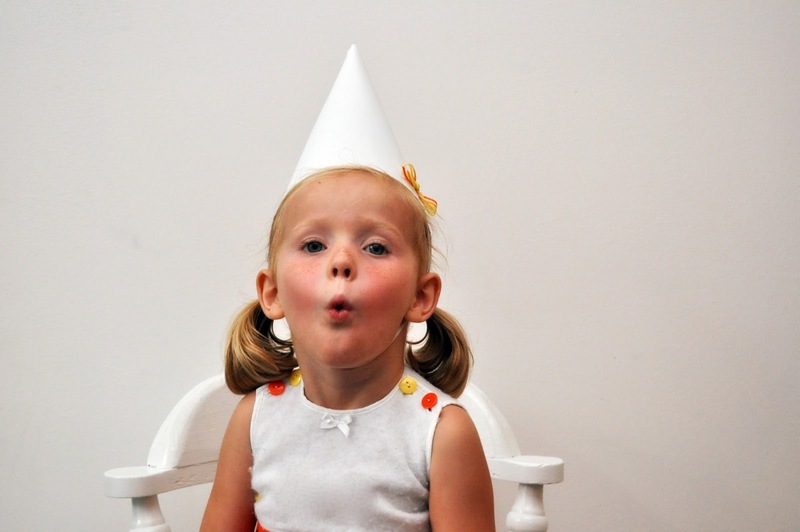 The conical confection cap is cut from some foam board, taped inside with duct tape [real classy, I know]. On the outside, I used tiny brads to really keep it together by poking a hole with my little scissors first, then inserting and opening the brads. I also attached an 1/8" elastic for the chin strap by tying a knot first and poking the brad through the center. 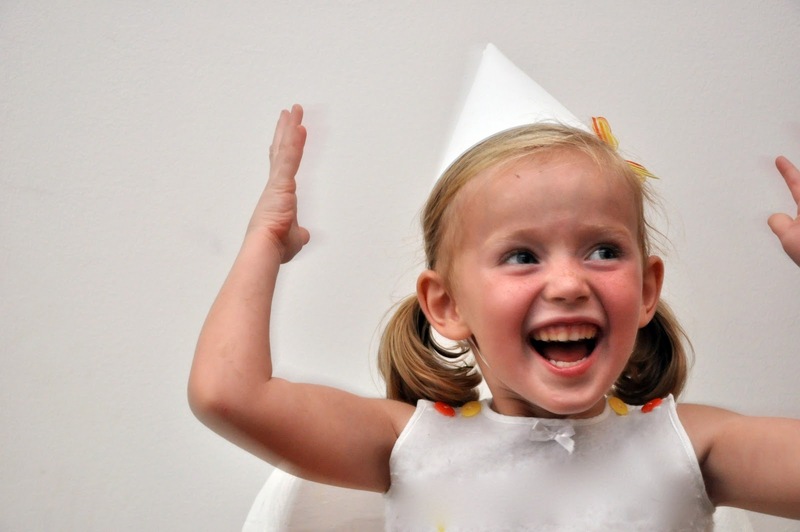 This was what inspired my Candy Corn projects. When Olive was a baby, two of my friends also had 2-month old infants. One of them suggested we dress them as a trio of candy corn, so I made identical candy corn costumes for all 3. Believe it, or not, this is the exact same costume. I told Azure, no way are you going to be able to fit in that. And happened to have some matching shoes. 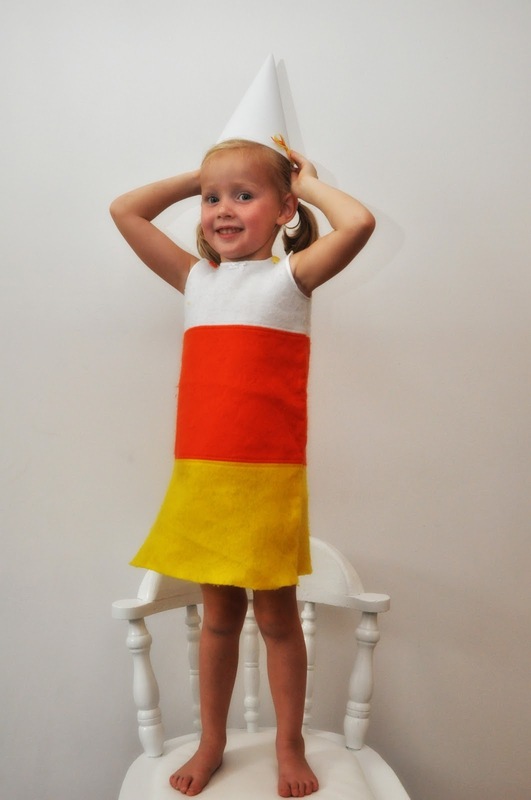 Since I love candy corn and your mad sewing skills--I LOVE this. Your models are always the cutest too. I made this costume last year! And due to laziness, I most likely will be wearing it again this year. :) I saw it on an Etsy shop and fell in love. Your version turned out so well! Your model is a cutie. Seriously cute! And that hat is just the best topper, love it! Glad I heard of your site and can now see all of your incredible creations! Aww - this is so cute!!! Good looking model you got there!! Adorable! Great pics as usual. How sweet! 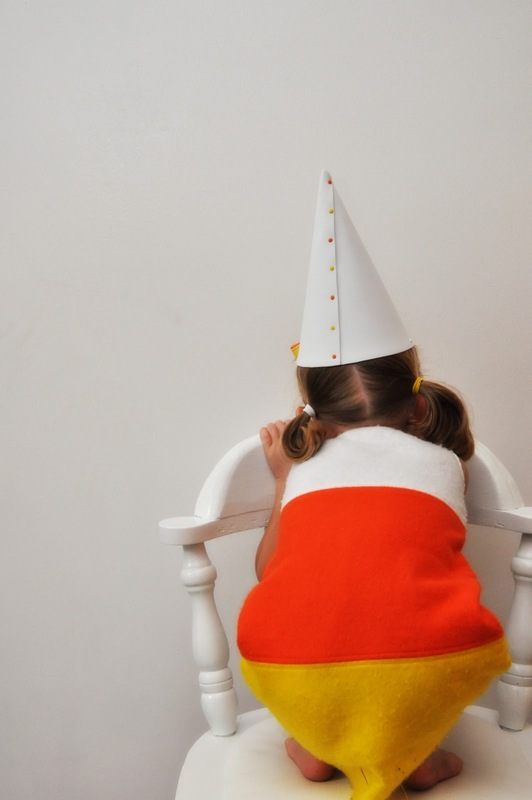 And funny--I just blogged a pattern for a candy corn bunting I made for my baby last year when she was just a few weeks old. Hah! If my daughter insists we attend the Halloween bonfire this weekend, this is what I'm making to wear. Cute! Lucky girl! I was going to make MD's pumpkin costume but found one for only ten bucks at Target--can't beat that! 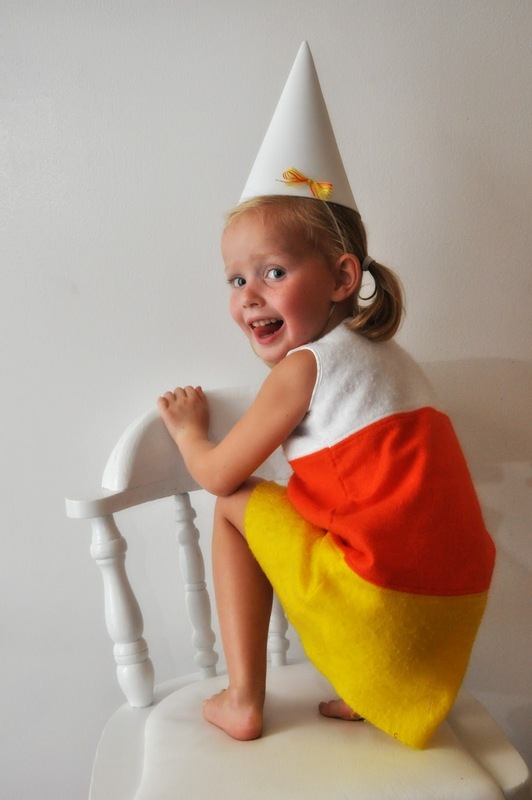 Cute candy corn dress - did she wear it for Halloween?